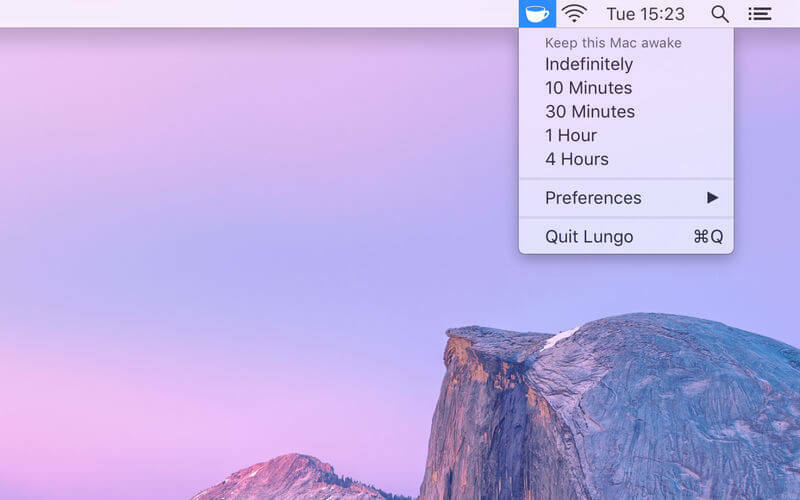 Lungo prevents your Mac from falling asleep and your screen from dimming. Right-click or Option-click the menu bar icon to quickly activate. Choose to activate with left-click instead in the Preferences. Choose to activate at launch in the Preferences. 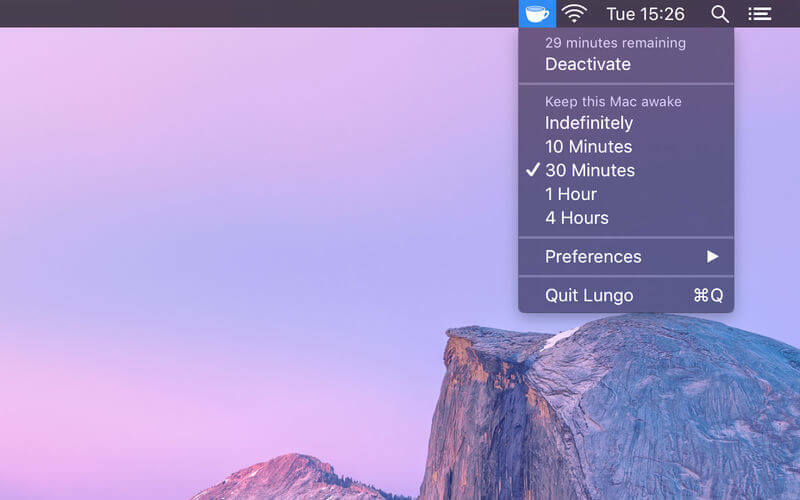 Set the default duration in the Preferences, which is used when Lungo is activated by clicking the menu bar icon. Important: Lungo will not prevent your Mac from sleeping if you close the lid. This is a Mac App Store limitation. Added "2 Hours" and "8 Hours" durations. Added "Allow Display to Sleep" setting. 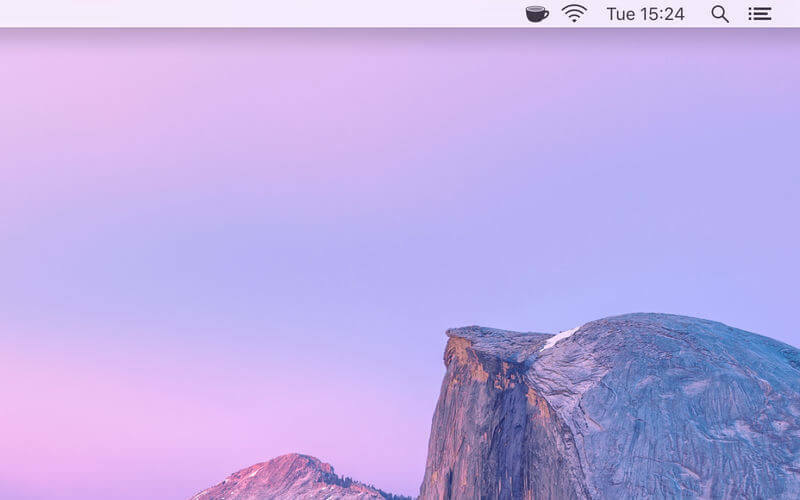 This will let the display sleep normally, but still keep your Mac from going to sleep. Added "Dim Icon When Deactivated" setting. This will make the icon dimmer when Lungo is deactivated to make the difference between the activated/deactivated state clearer. Added support for custom URL scheme. This is for advanced users that would like to script Lungo. Try running `$ open 'lungo:activate?minutes=10'` in the Terminal app. See the Lungo website for more information.